No, these people weren’t talking about a deity or demigod. They were talking about Walt Disney. There’s much to agree with on the super Disney fans’ statements. There’s no denying that throughout his life he did some amazing things that were revolutionary and great in scale and effect, but the truth of the matter was that Walt Disney didn’t think he was great at all. 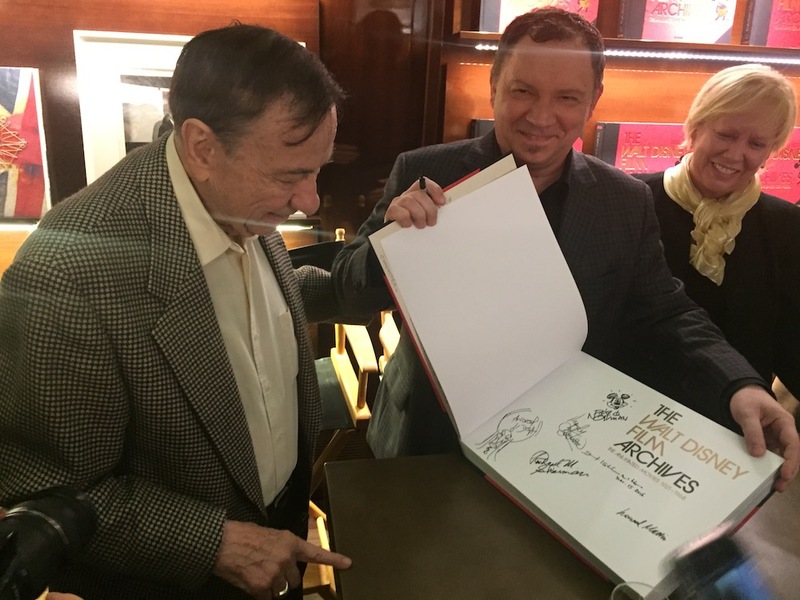 Norman, along with other Disney Legends like songwriter Richard Sherman and animator Andreas Deja were on hand for the launch of the new Walt Disney Film Archives book in Beverly Hills last night, the exact day 50 years ago that Walt passed. It was a fitting night as the book itself reminded them of who Walt really was because they knew him personally or through people who did. While they remember the results of Walt’s good work, they also remember the difficulties of working with him along the way. “He was really focused,” said Deja. “That focus might have rubbed off on people if they didn’t know that’s how Walt worked.” The criticisms that Deja was alluding to were deeply emphasized in the PBS documentary that aired last year, that varied from dealing with sexism and competition to lack of passion and attention to detail. One man’s mission to travel around the world (to every Disney Park) in 80 hours.